Chef Bancroft collaborates with the Auburn University Meat Lab and local ranchers to allow sourcing of responsibly farm-raised meat. Look for these charcuterie offerings on the ‘Butcher’s Block' along with house-made pickles and jams as well as many delicious cheeses produced by local and regional artisans. Bancroft searches and finds the freshest seafood, with special emphasis to fish and shellfish from the Gulf Coast. 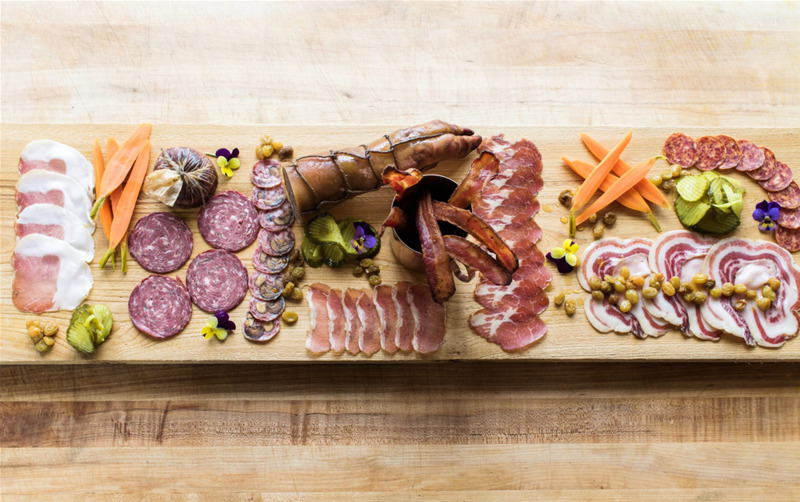 Charcuterie: (shahr-koo-tuh-ree) the art of salting, smoking, brining and curing meats. 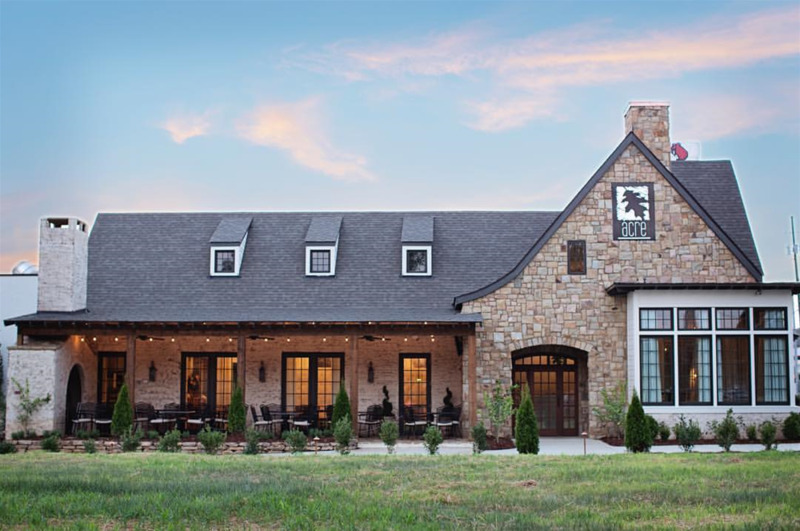 Led by Bancroft, the kitchen sources from on-site gardens and orchards, local farms, and the bounty provided by the Blackbelt Region, reinterpreting the rich heritage of Alabama cuisine. Acre is wrapped in edible landscapes designed to provide fresh seasonal harvest used to create delicious offerings which change daily, depending on what is ready in the garden. Fruit trees are surrounded by berries and fresh herbs. The on-site vegetable garden provides our guests with both heirloom and newly introduced varieties of produce which is harvested, prepared and served immediately. Dine on the big front porch shaded in the summer and warmed on cool evenings by the custom hearth-style fireplace. The arched entry door invite you into an exciting culinary experience while the clean lines of the décor present stunning examples of our philosophy of using sustainable and re-purposed materials when possible. Bancroft and his cousin, interior designer Emi Mason, designed the lofted ceilings to showcase beams salvaged from the 100 year old Crawford General Store, donated by Bancroft’s fishing buddies, the Leto's. The interior walls are wrapped in solid oak sourced from Ten Mile Creek Farms, owned by Bancroft’s grandfather, and removed when the forest was being thinned. Inside the lofted, private dining room are black walnut floors and a charming chandelier made from an old fish basket from the family fish farm. The massive farm table was a gift to the chef from the Randle family, owners of Randle Family Farms, who provide fresh vegetables and meats for our kitchens.